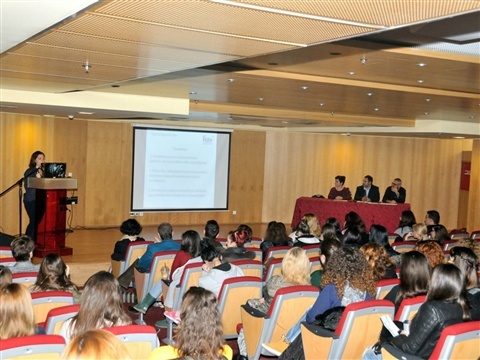 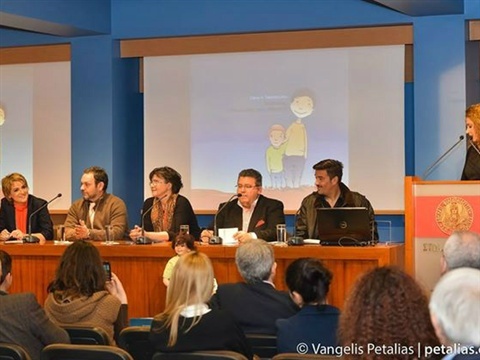 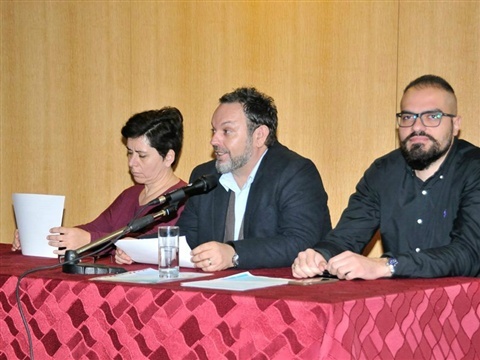 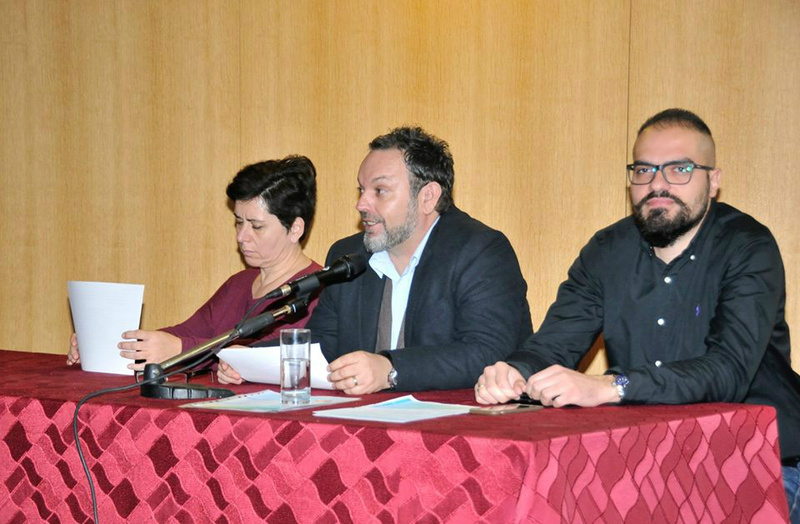 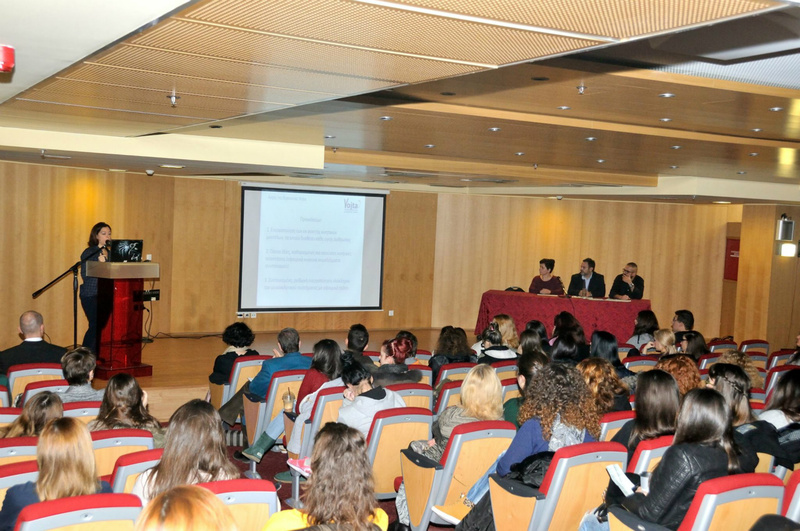 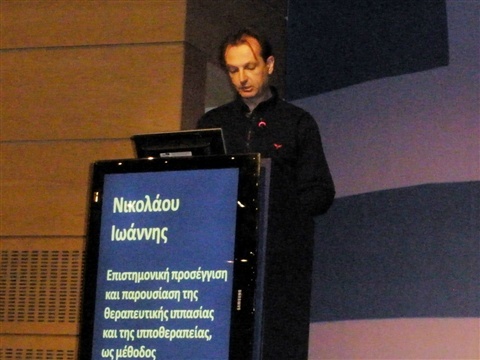 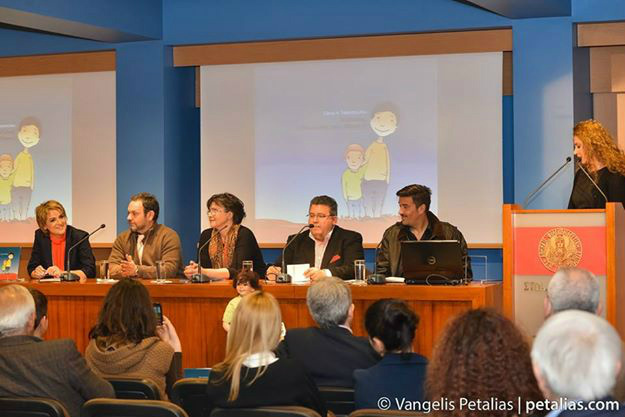 The Greek Scientific Association of Therapeutic Riding and Hippotherapy organized the 3rd Scientific Conference: intervention methods in Neurodevelopmental disorders. 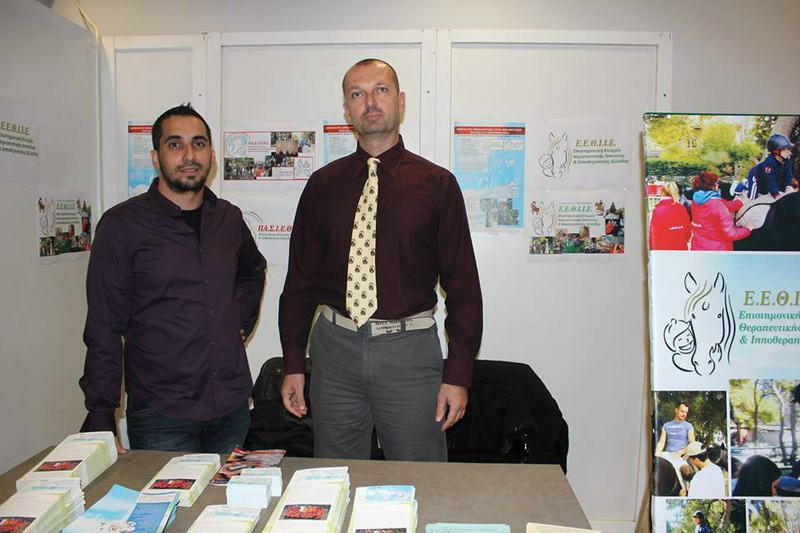 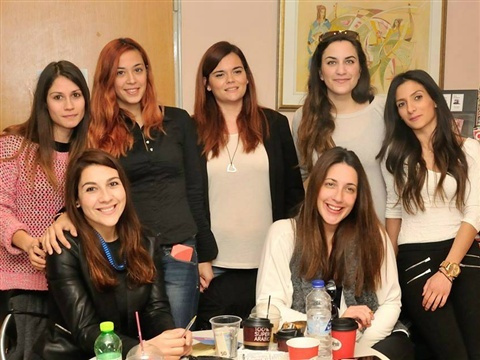 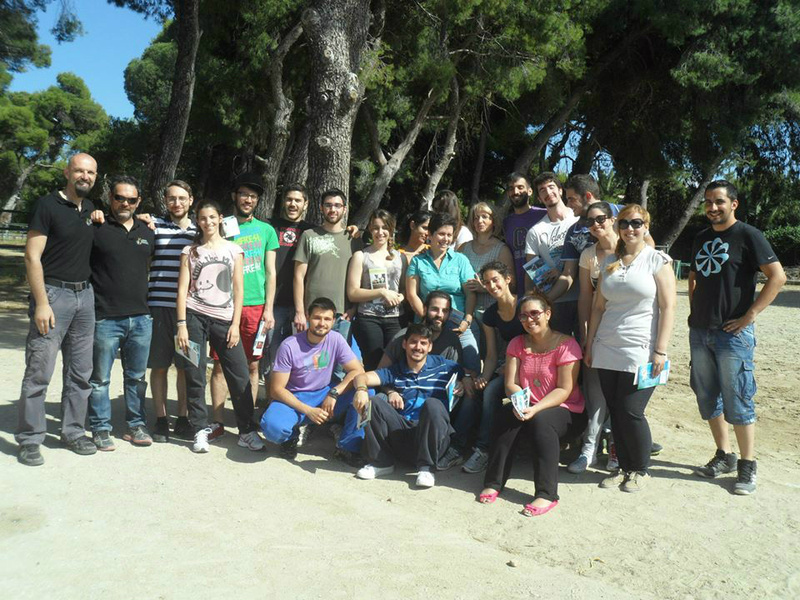 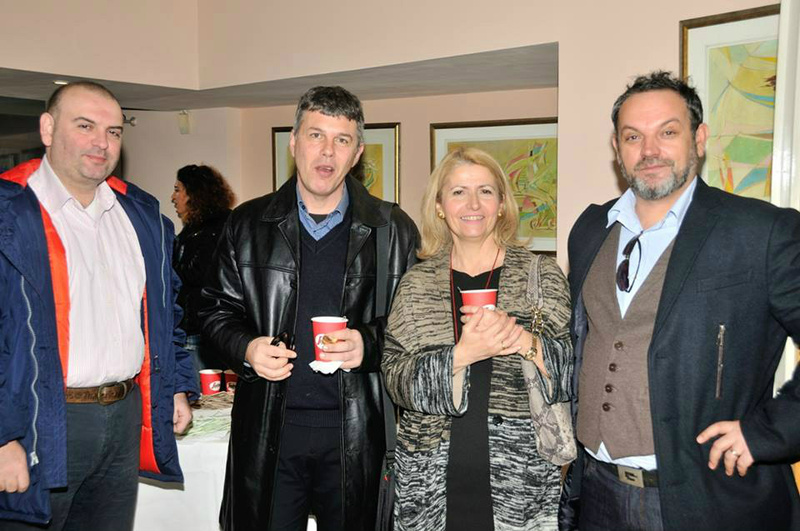 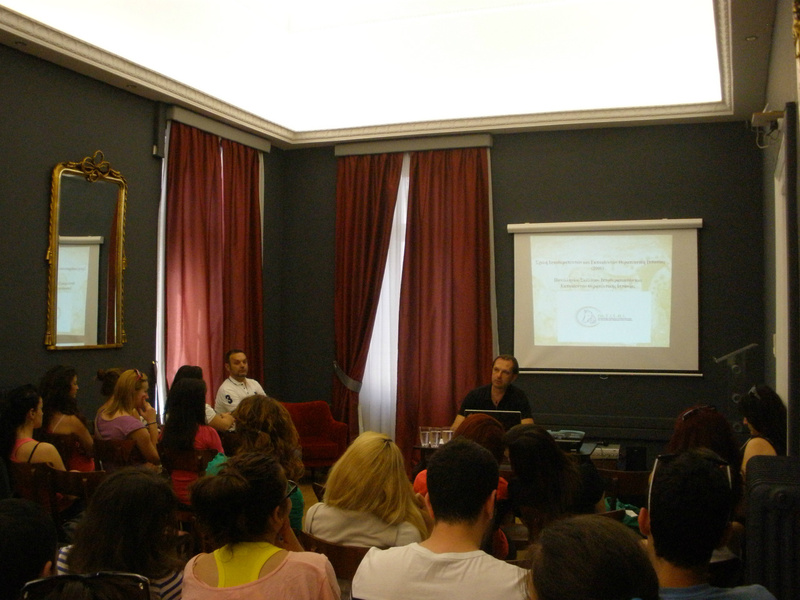 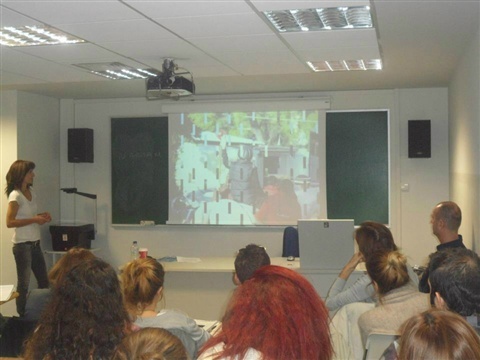 In the context of official cooperation, the physiotherapy department of ATEI Athens, visited the premises of G.S.A.T.R.H. 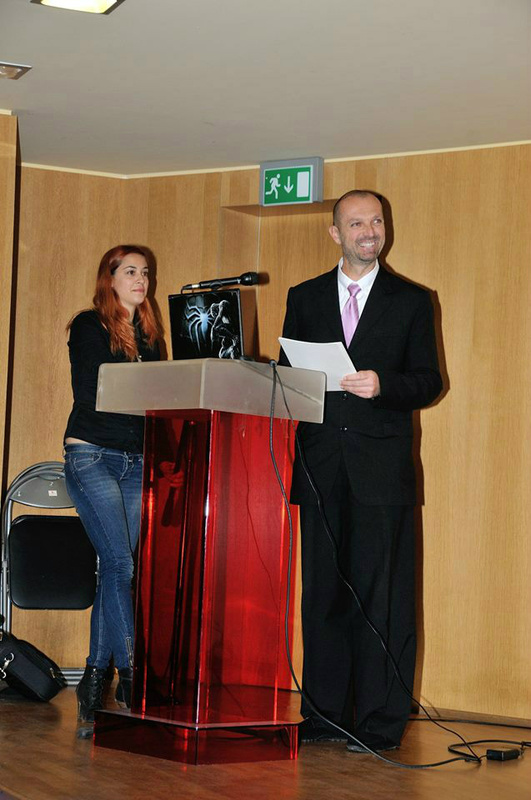 A tribute by SKAI TV channel and E channel at G.S.A.T.R.H. 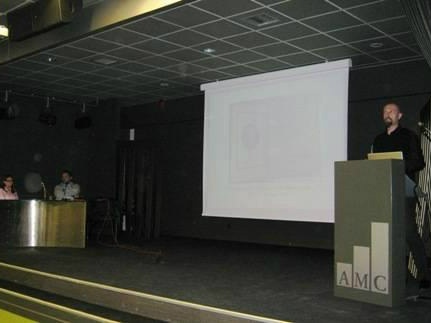 and to the scientific work of !! 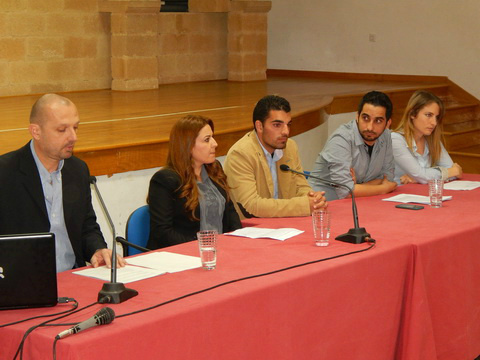 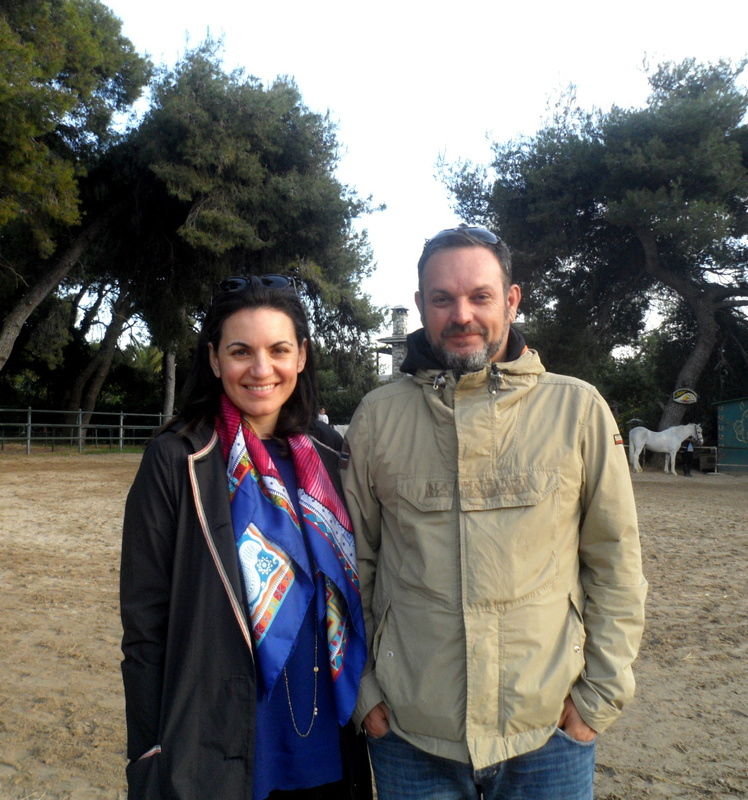 Visit of Tourism Minister Ms. Olga Kefalogiannis at the premises of G.S.A.T.R.H. 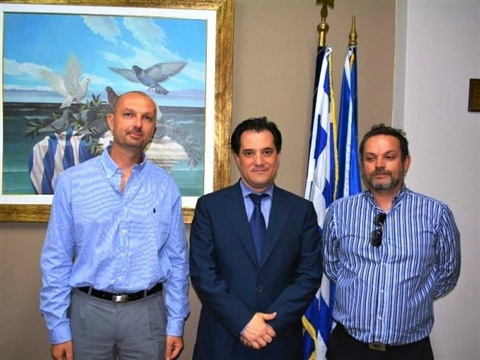 In very good atmosphere was held a meeting between the Health Minister Adonis Georgiadis with the president and vice president of Hellenic Association of Hippotherapists and Therapeutic Riding Instructors (Hel.As.Hi.T.R.I.) 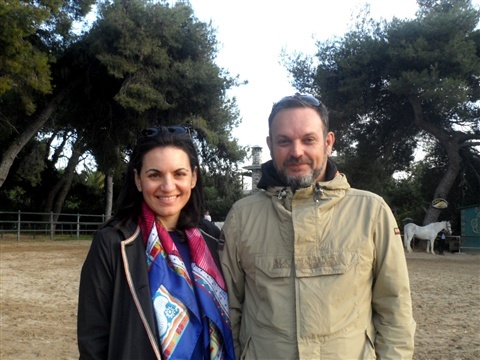 N. Polyzos and Y. Nikolaou, concerning the developments of therapeutic riding and Hippotherapy in Greece. 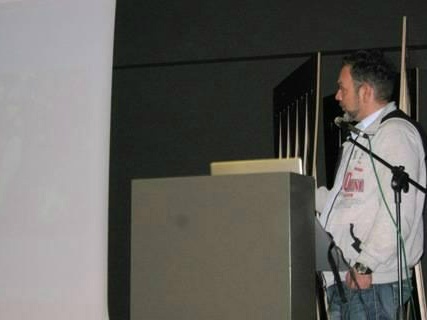 The chief of G.S.A.T.R.H. 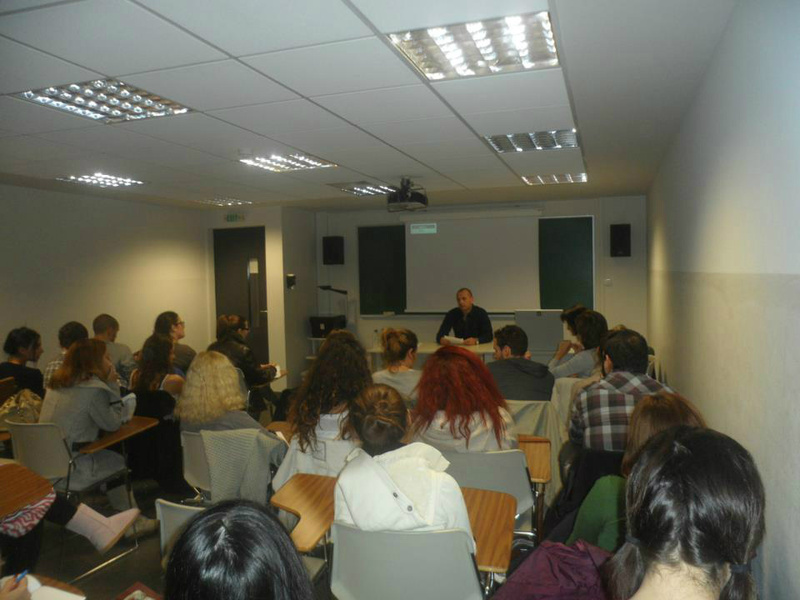 Nikos Polyzos at the book presentation of Elena Tasiopoulos "Phaedon, my special brother"
New group of French students of La Maison Familiale de Terrou, attend an intensive 12-day seminar of G.S.A.T.R.H. 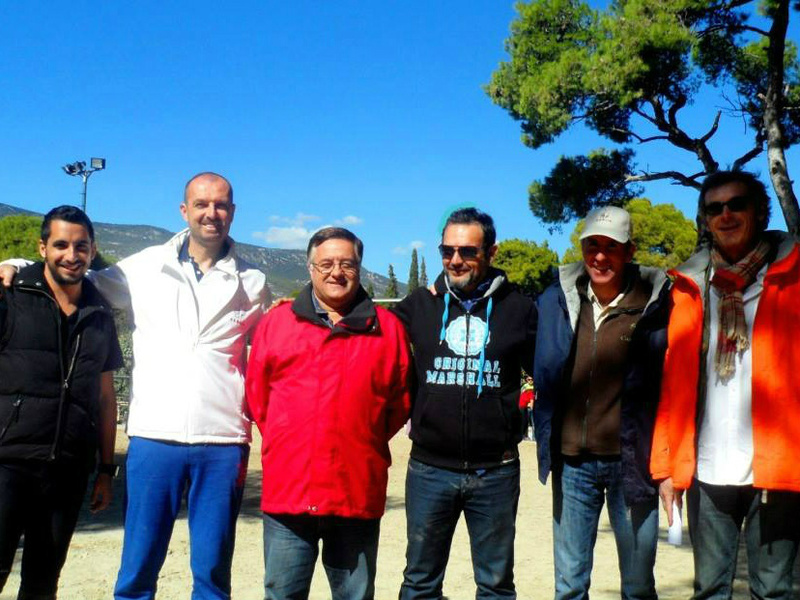 02/02/2014 Workshop of Riding Club Kos in cooperation with G.S.A.T.R.H. 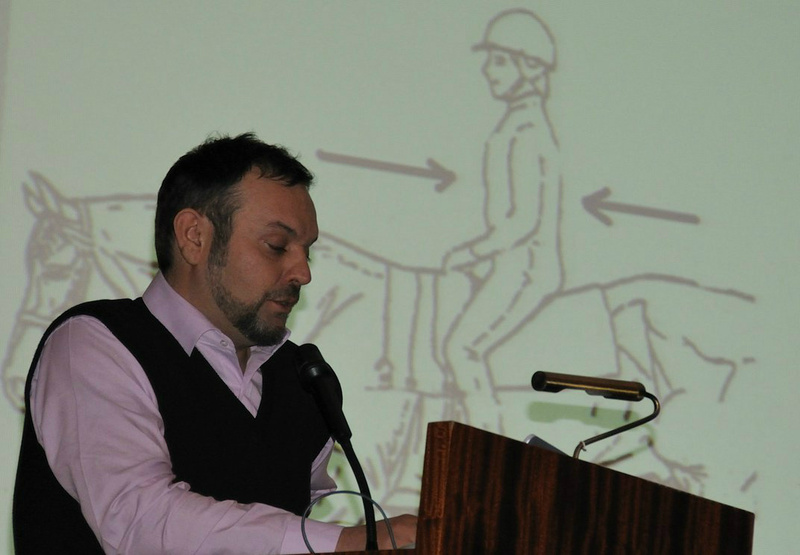 for therapeutic riding and Hippotherapy. 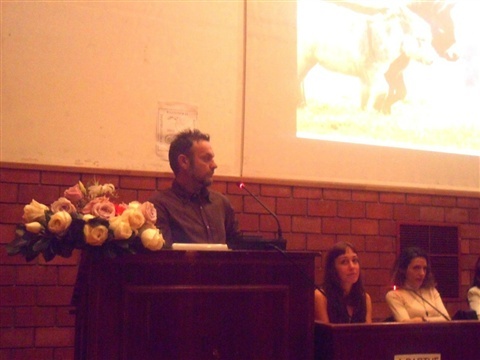 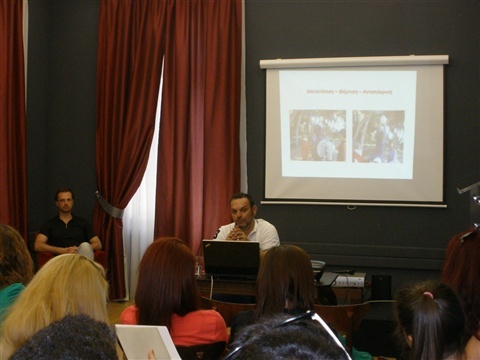 Lecture by Director of G.S.A.T.R.H. 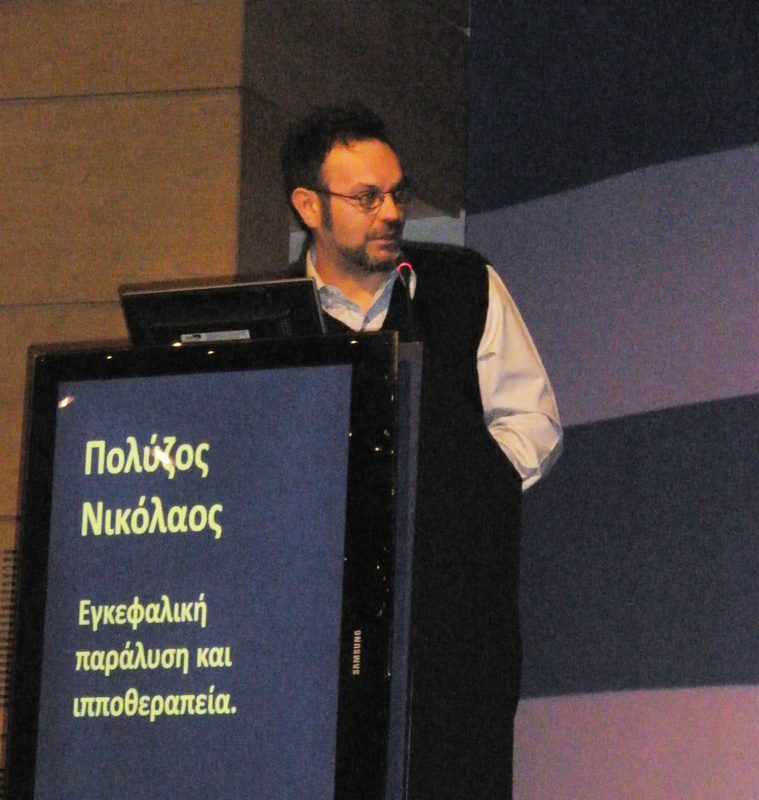 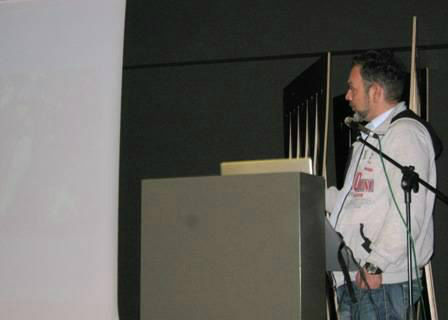 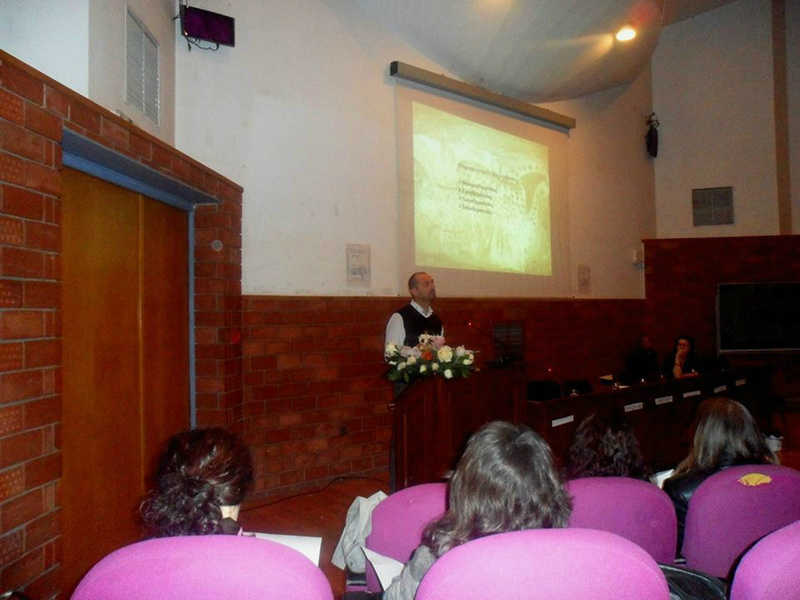 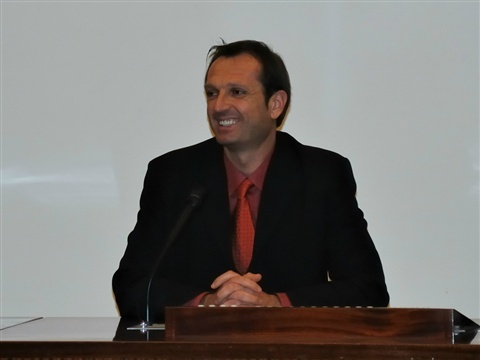 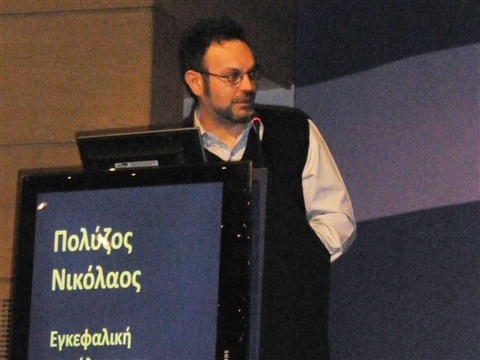 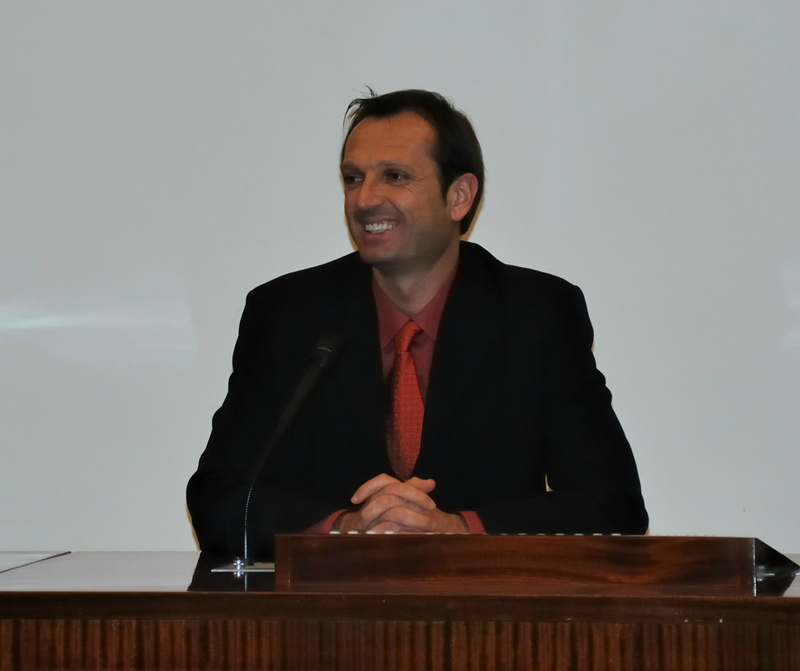 John Nicolaou at the American College of Greece. 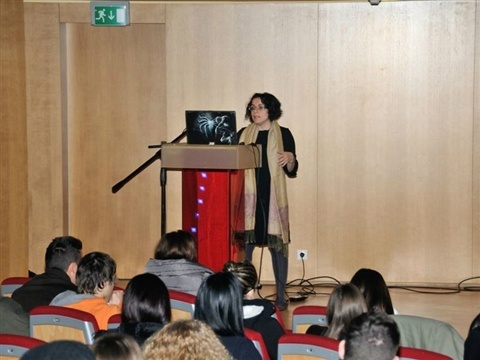 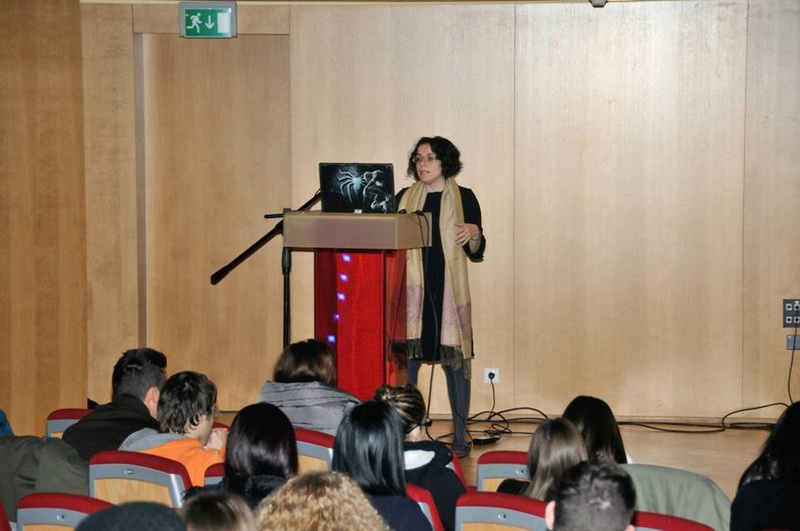 Lecture by Maryam Syrengelas at the American College of Greece. 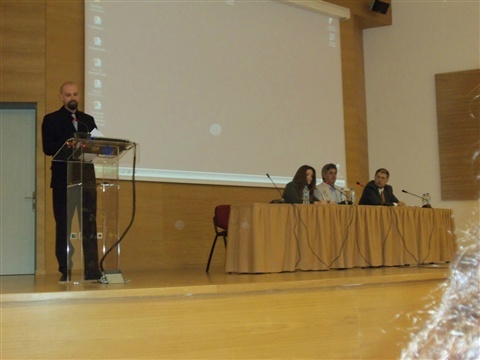 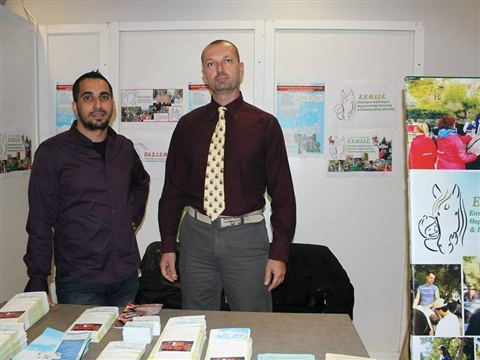 "Therapeutic Horseback Riding and Rehabilitation"
2nd Scientific Conference concerning Therapeutic Riding in Halkida under the auspices of G.S.A.T.R.H. 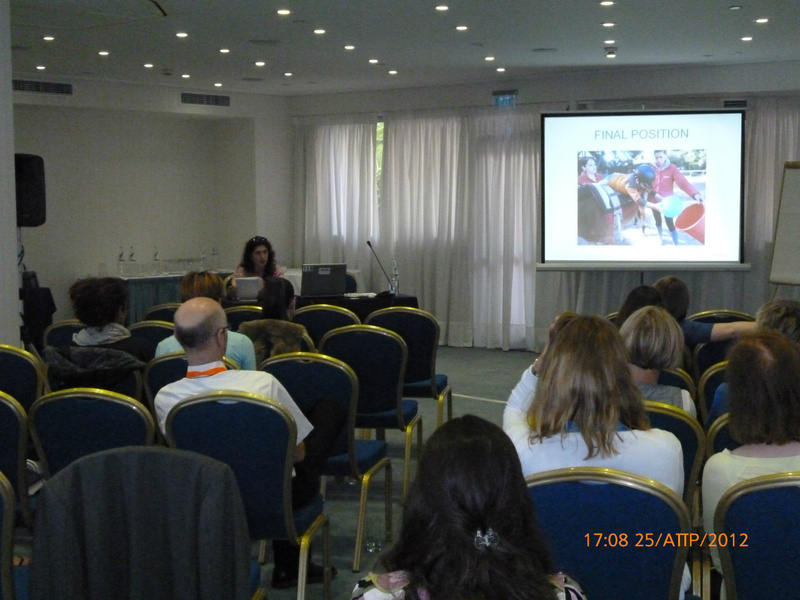 and the Hellenic Association of Hippotherapists and Therapeutic Riding Instructors (Hel.As.Hi.T.R.I.). 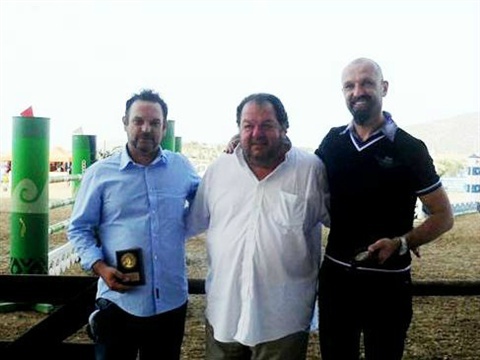 Award to the President of Hel.As.Hi.T.R.I. 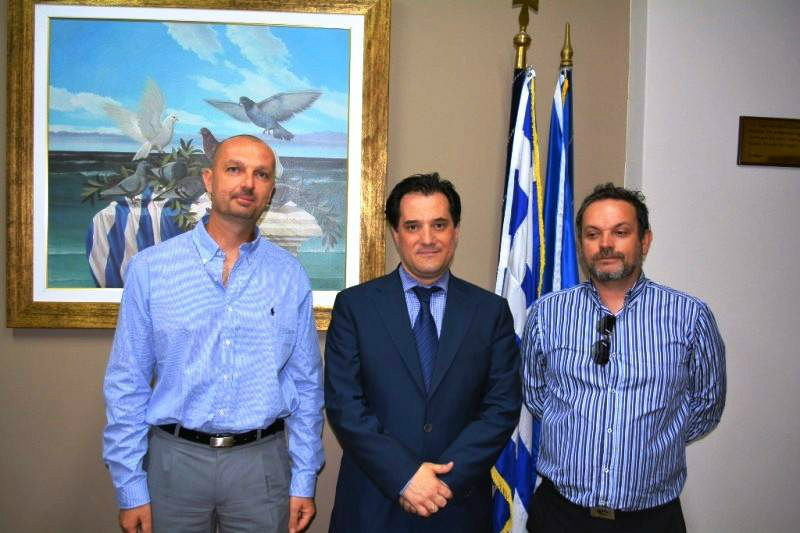 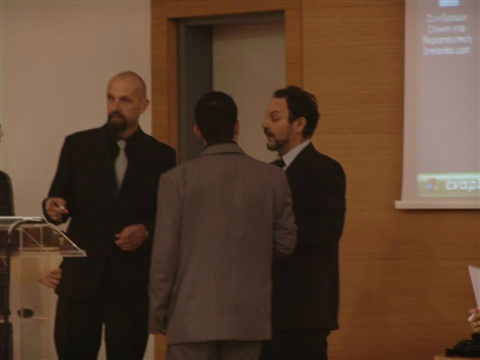 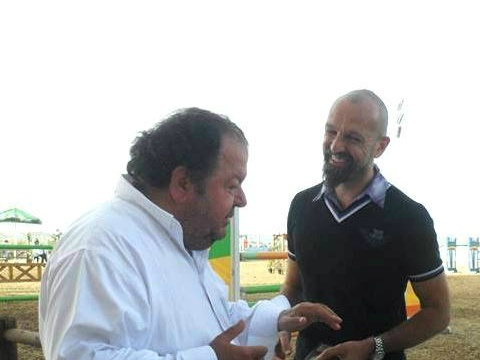 Mr. Nikos Polyzos and to the Director of G.S.A.T.R.H. 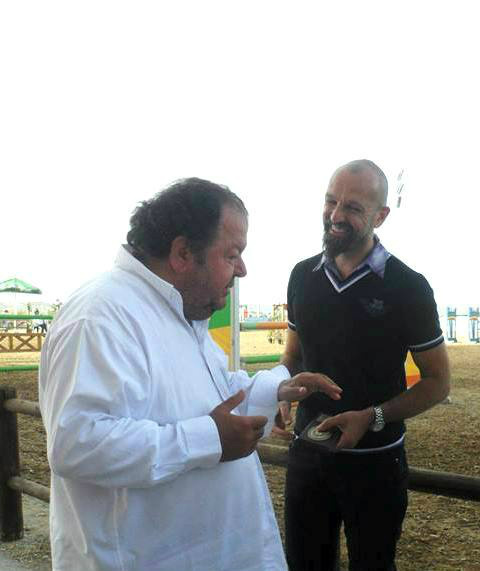 Mr. Yiannis Nikolaou, from the President of the Greek Equestrian Federation, Mr. Nikolas Paraschis, for their contribution to the development of therapeutic riding and hippotherapy in Greece. 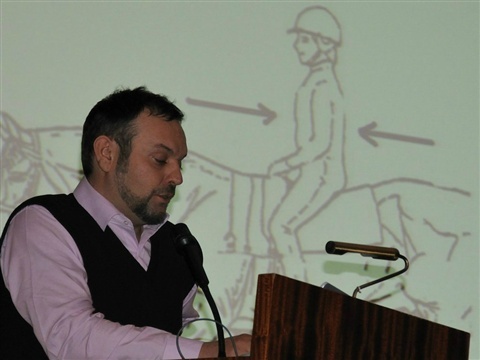 Seminar on the subject: Therapeutic Riding and Hippotherapy by Yiannis Nicolaou and Nikos Polyzos at Attica Athens College. 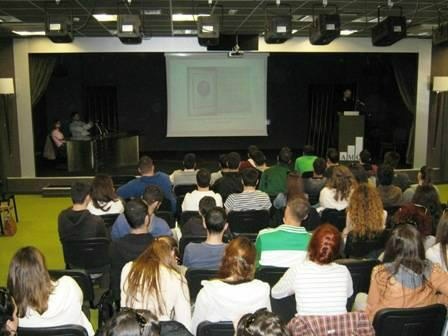 With lectures and posters represented the G.S.A.T.R.H. 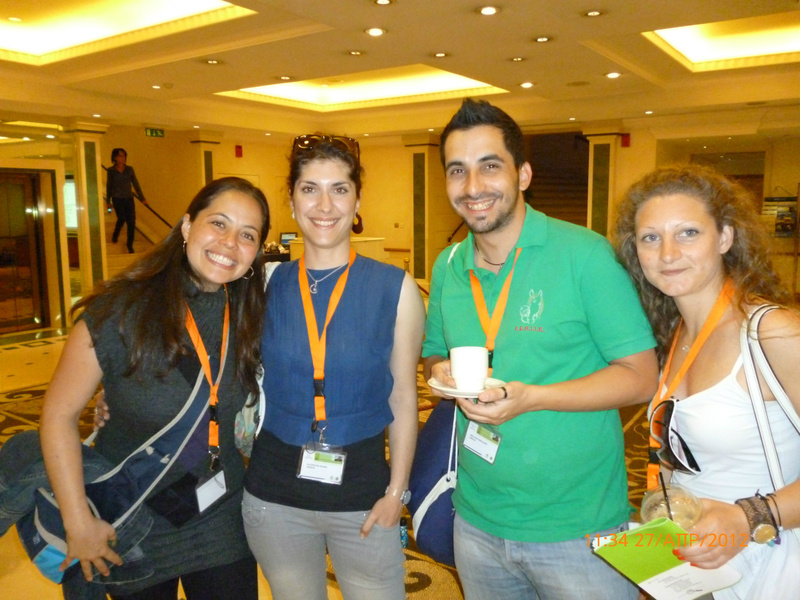 in the 14th world conference of therapeutic riding who carried out in Athens. 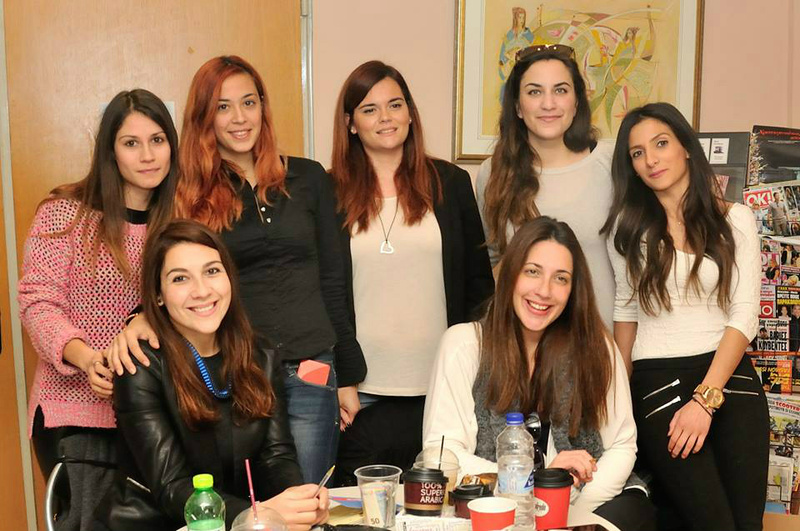 The G.S.A.T.R.H. 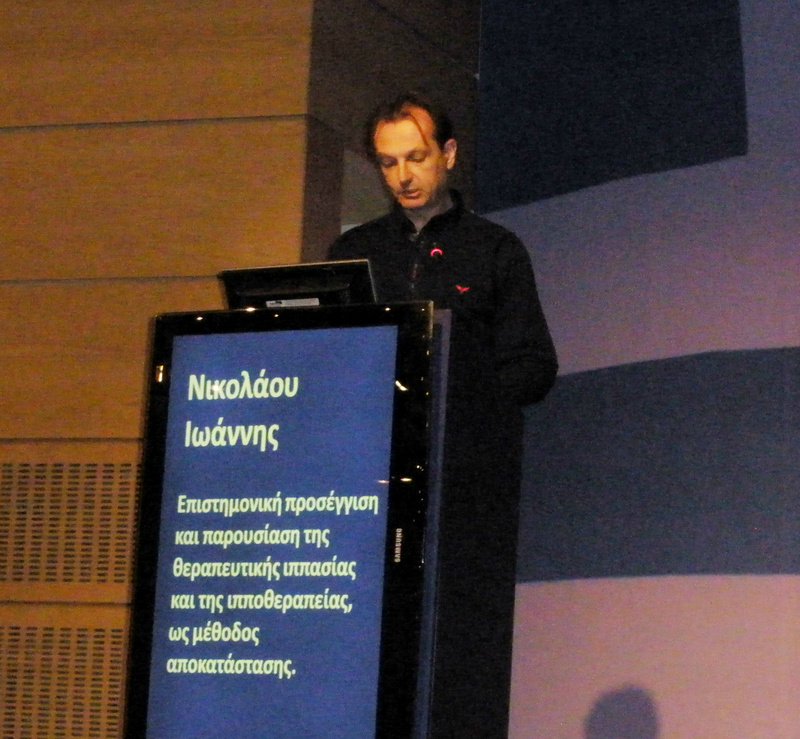 at the 21st National Scientific Physiotherapy Conference. Nikos Polyzos and Yiannis Nicolaou in action.